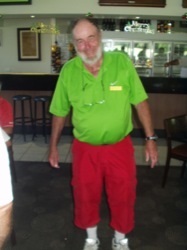 Colour Up Day at Virginia December 2014. 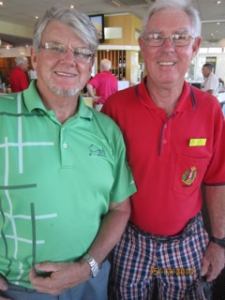 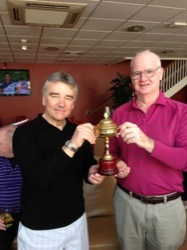 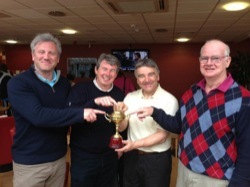 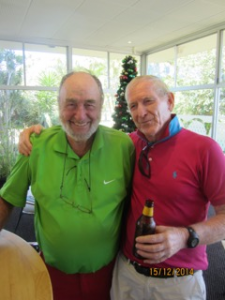 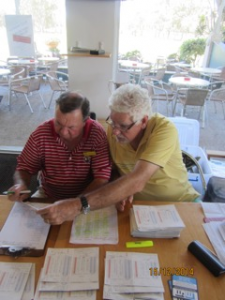 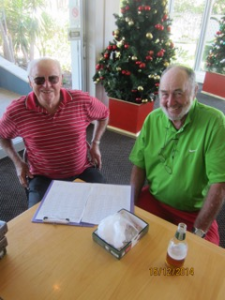 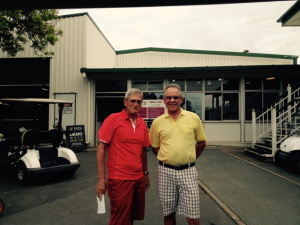 Charles Jackson and Milo Milosevic win 4 ball cup at Gailes 2014. 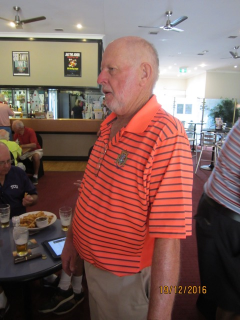 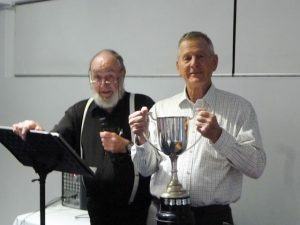 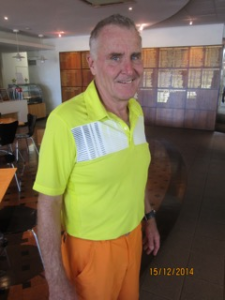 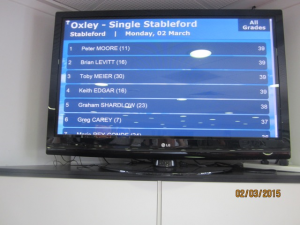 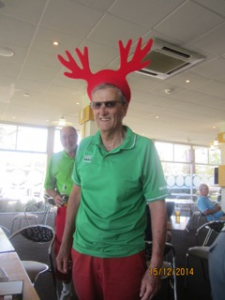 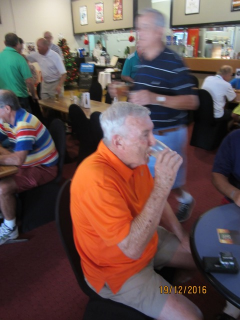 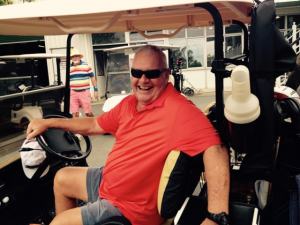 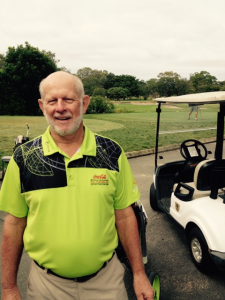 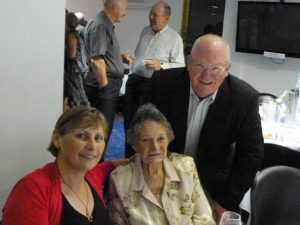 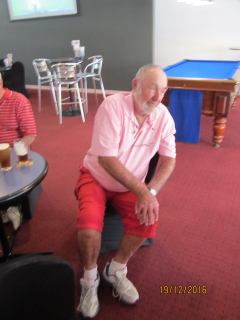 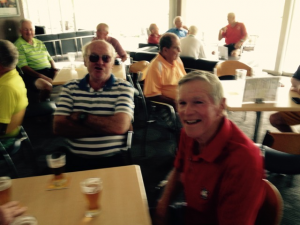 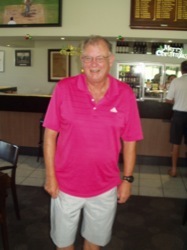 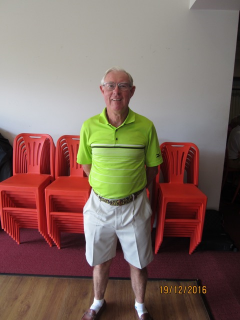 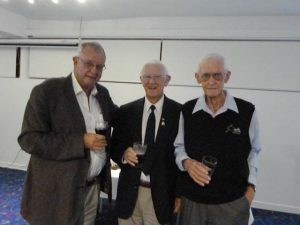 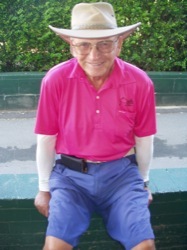 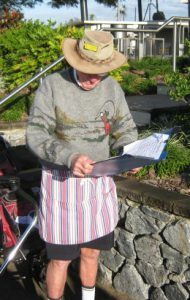 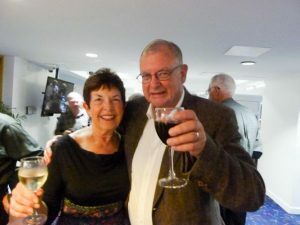 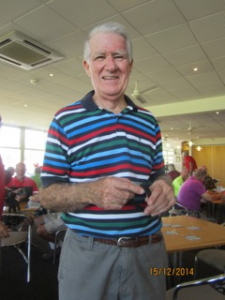 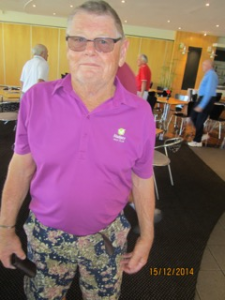 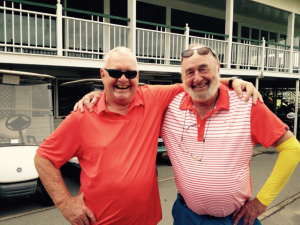 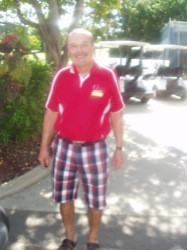 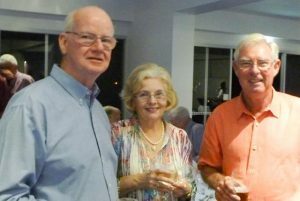 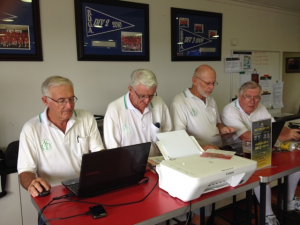 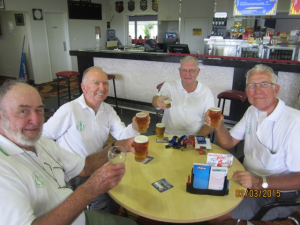 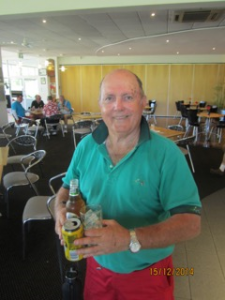 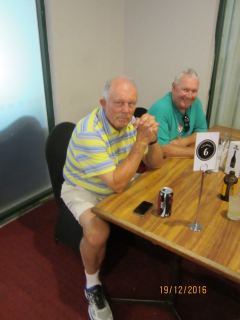 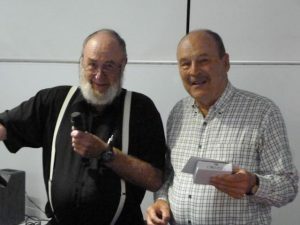 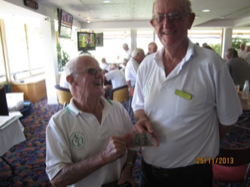 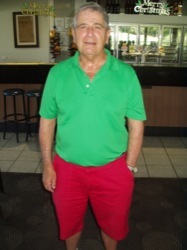 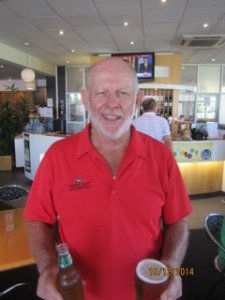 Lex Davies – Life Member – 80th Birthday 2014. 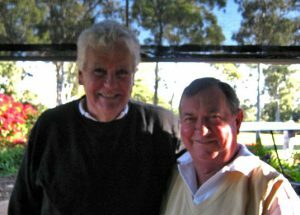 Went to visit Lex yesterday, it is his 80th birthday today (3rd May). 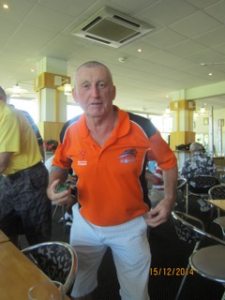 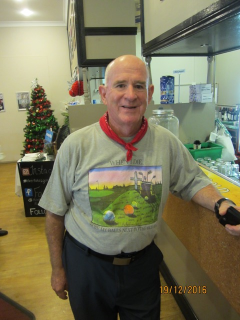 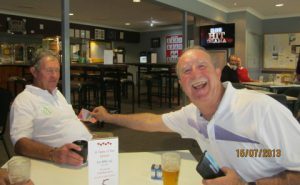 We (BDVGA) gave him a Vets shirt with Lex Davies – Life Member added. 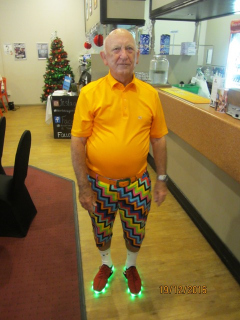 He was very pleased. 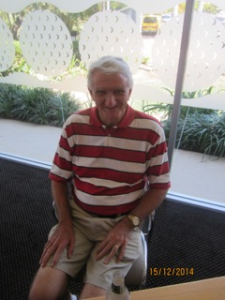 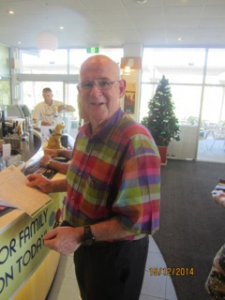 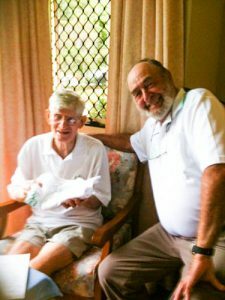 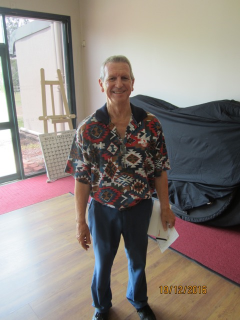 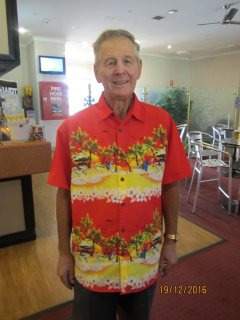 He is currently living at Emmaus Nursing Home Room 412, 131 Queens Rd Nudgee Phone 3260 9555. 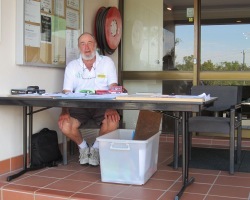 He would be happy to have visitors but ring first. 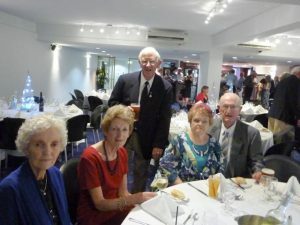 Do you (want to) know any of these people. 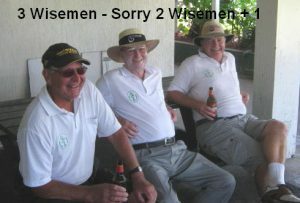 The photos say it all. 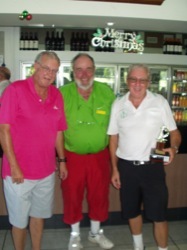 Alan Kane presented with Hole in One Trophy. 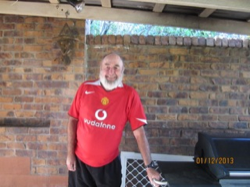 Is he the next replacement for Sir Alex Ferguson? 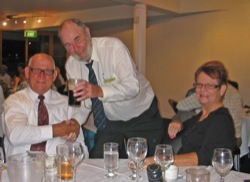 Rare photograph – may be worth a fortune. 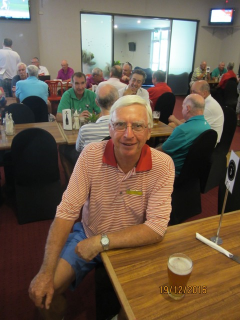 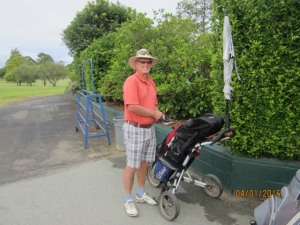 2013 Annual Dinner – Pacific Golf Club. 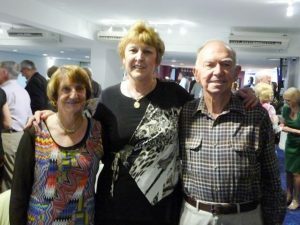 Aussie finds form in Britain. 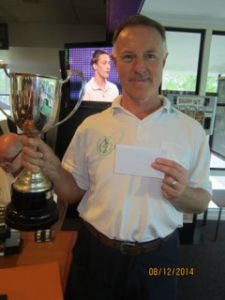 Vic Hildebrand accepts trophy for win at Wellington College, Berkshire. 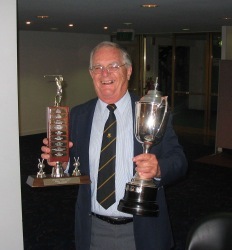 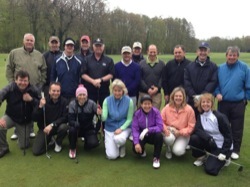 Vic with “tied” winners the following week at Wellington College. 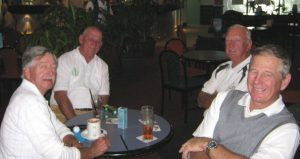 The “rollup” group at Wellington College – pro David Rennie standing far right, previous at Wentworth and Turnburry. 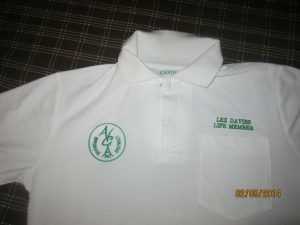 Is this the Vets Uniform of the Future. 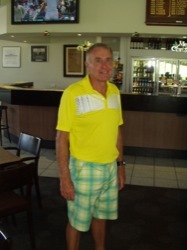 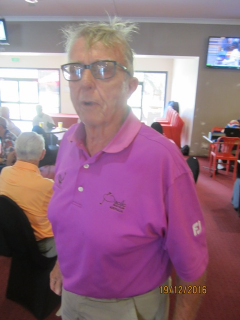 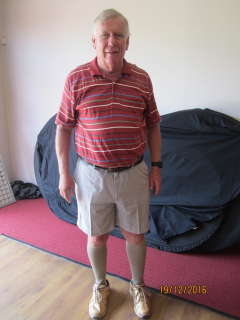 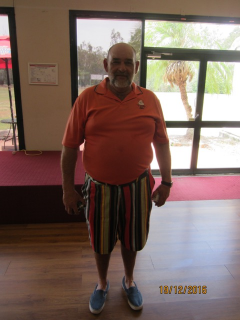 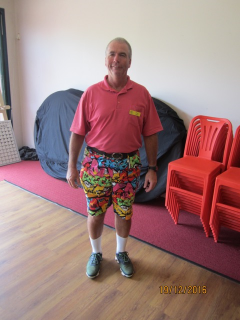 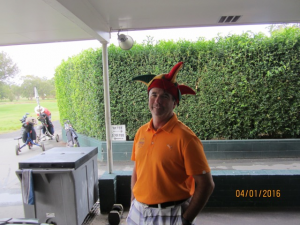 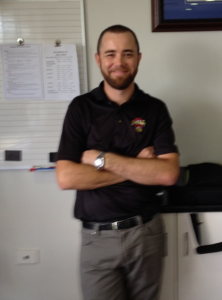 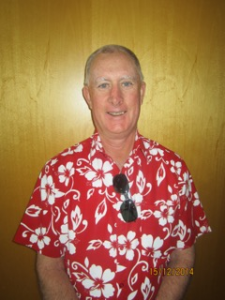 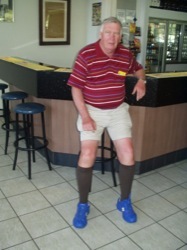 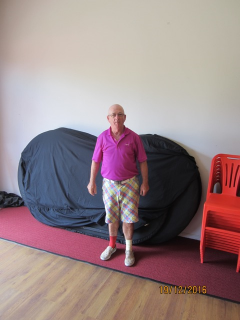 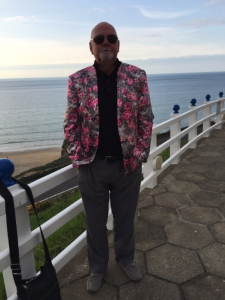 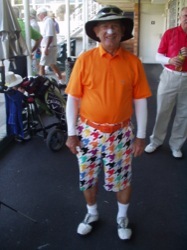 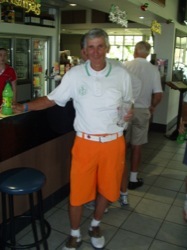 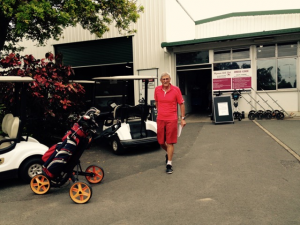 Paul Carius (Pacific) in mufti….. 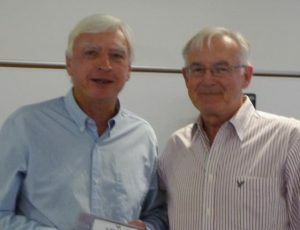 Voluntary Contribution to the Community Award. 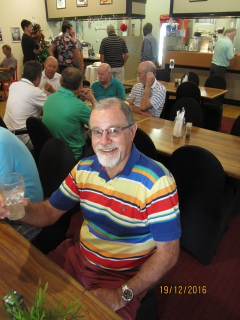 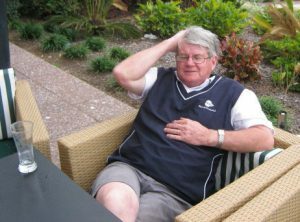 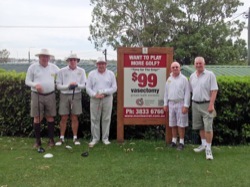 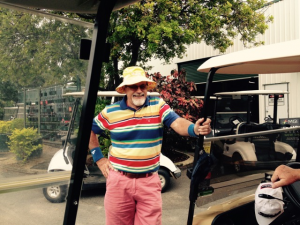 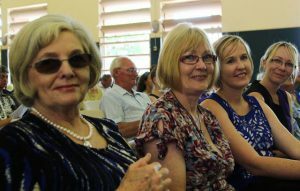 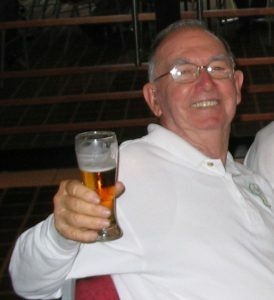 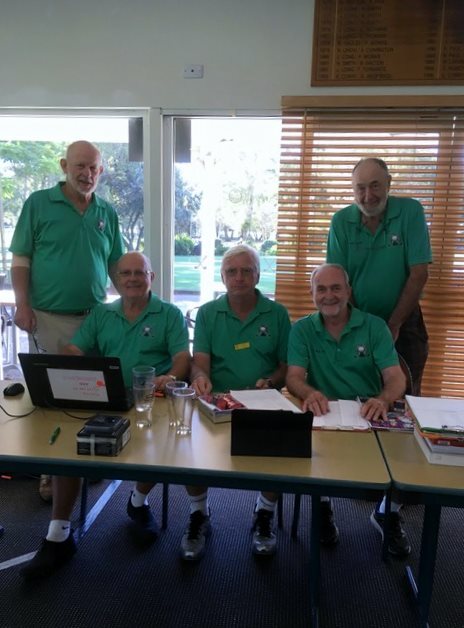 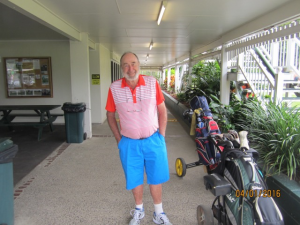 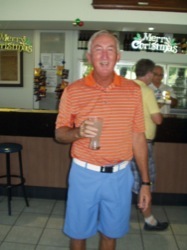 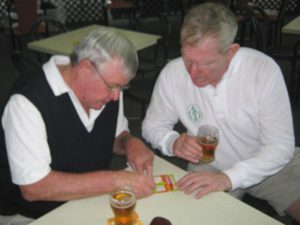 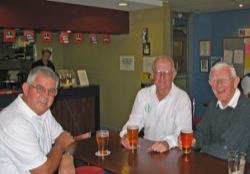 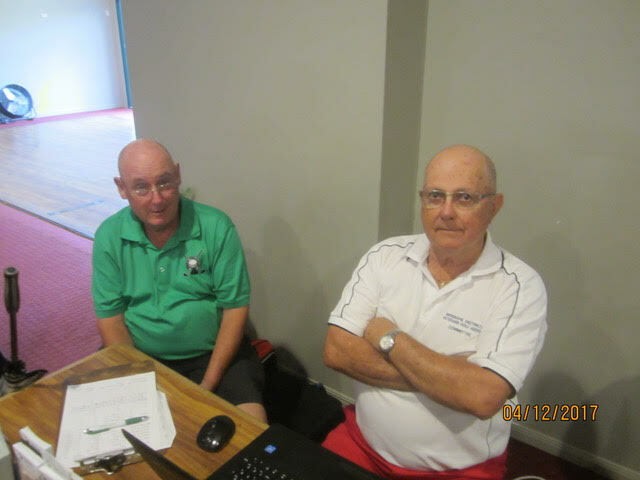 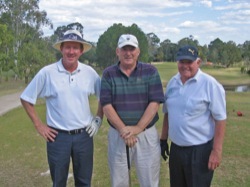 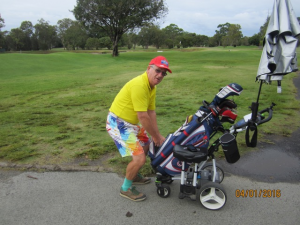 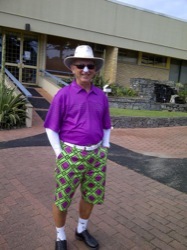 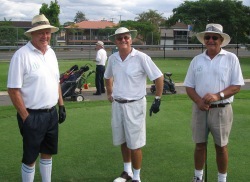 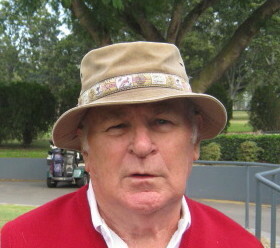 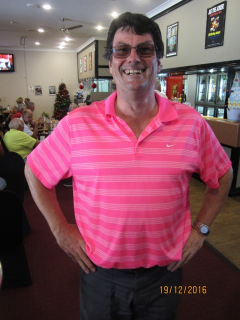 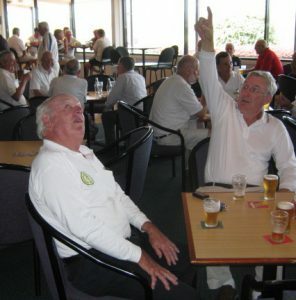 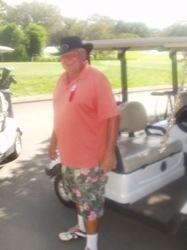 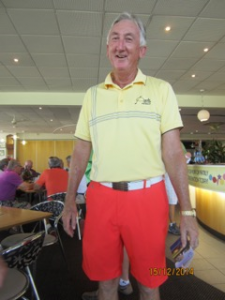 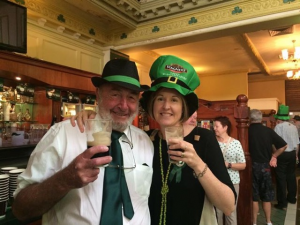 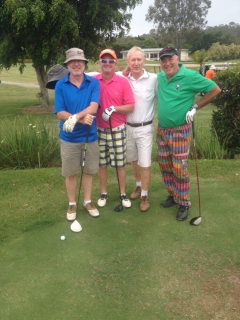 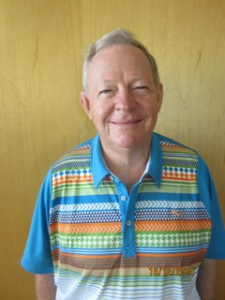 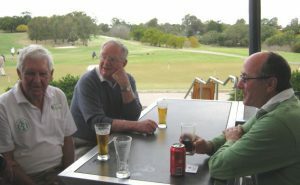 Currently as Captain of Brisbane District Veteran Golfers Association and President of the Celtic Connection Choir. 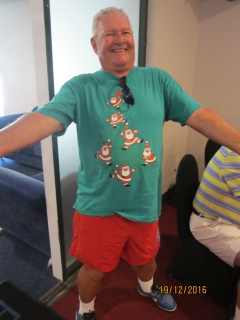 ….and watched by some of his harem, plus others. 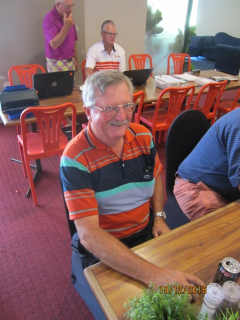 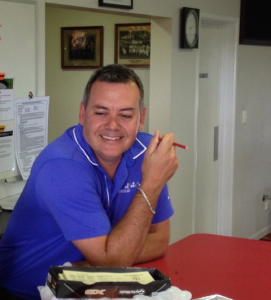 Captain in his Office at Oxley – Ready to put out fires. 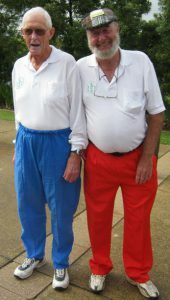 Thank you Moe and Trev. 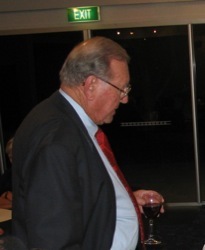 Apples – even he couldn’t help you. 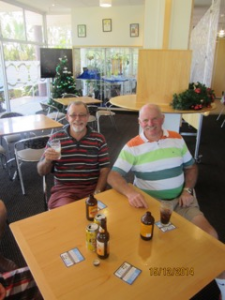 Dave and Ray were better on the day. 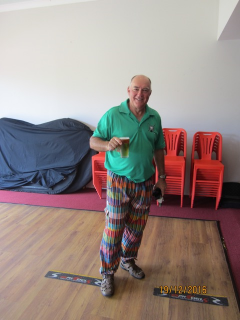 Sponsor takes the game more seriously. 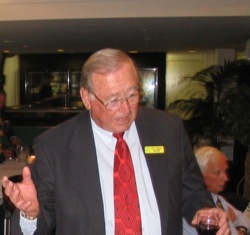 President Barry Atkinson – Annual Dinner 2009. 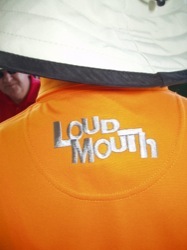 My wife is not watching. 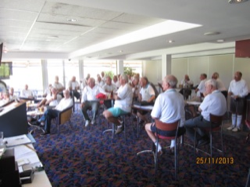 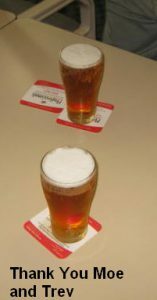 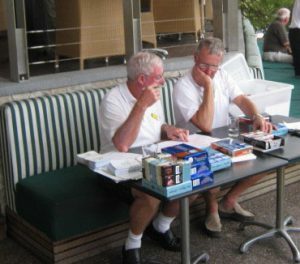 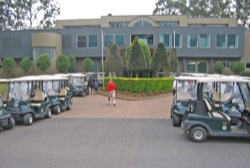 North Lakes 2009 – Ready for the off. 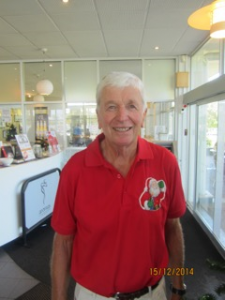 Thanks to the sponsor – kind Peter.